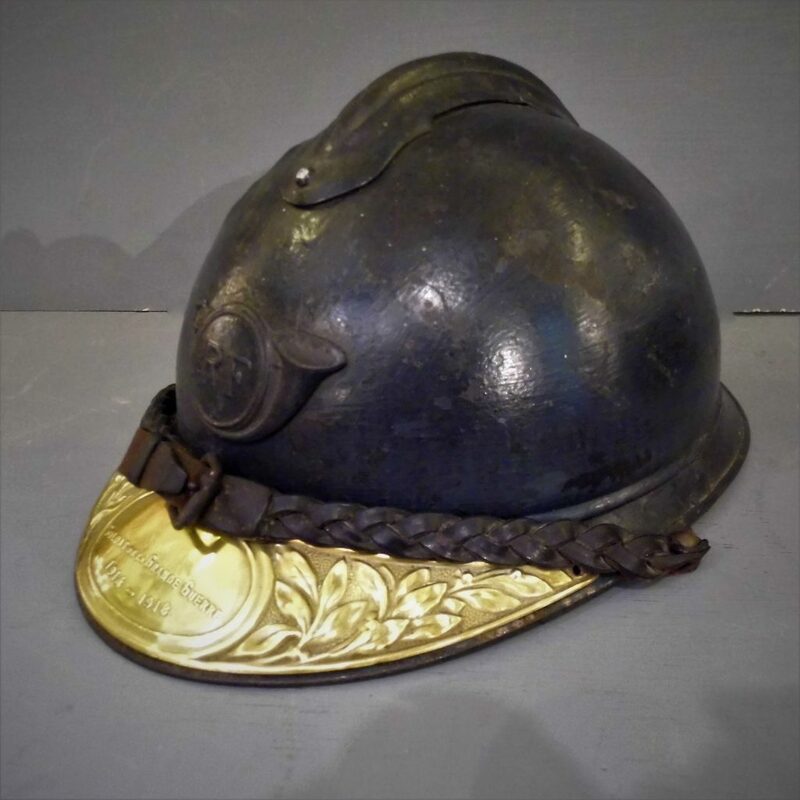 A very rare 1915 officers Casque Adrain Alpin Chasseur or Alpine Hunters Adrian pattern Helmet with commemorative survivors brass plaque. 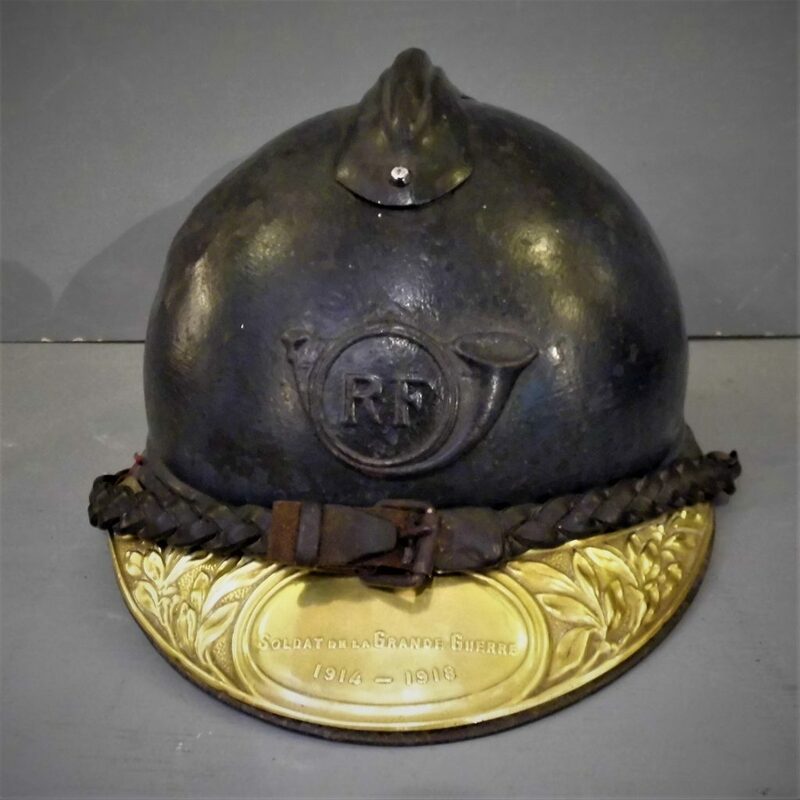 The Elite Alpine hunters are some of the most desirable WW1 helmets this one has the distinctive officers woven chin strap and a 1930s commemorative Soldat De La Grade Guerre 1914-18 parade plaque making it extremely collectable. 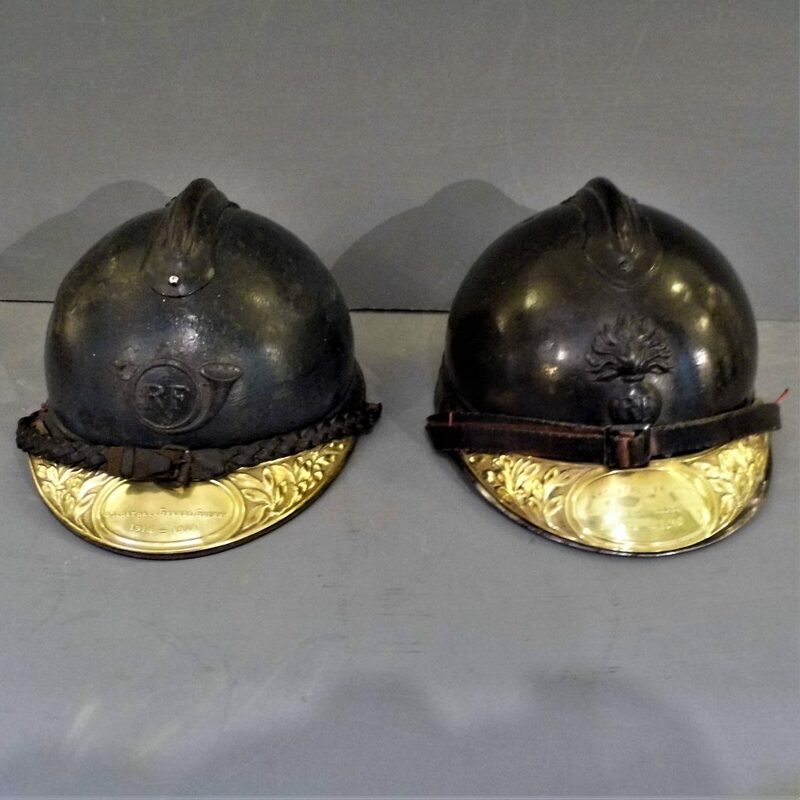 In good condition original paint, liners and chin strap a few bruises in keeping with active service.